Our collection at Boxers and Briefs contains only the highest quality Calvin Klein Girls Loungewear. CK GRAPHIC catches the eye with a graphic logo print. 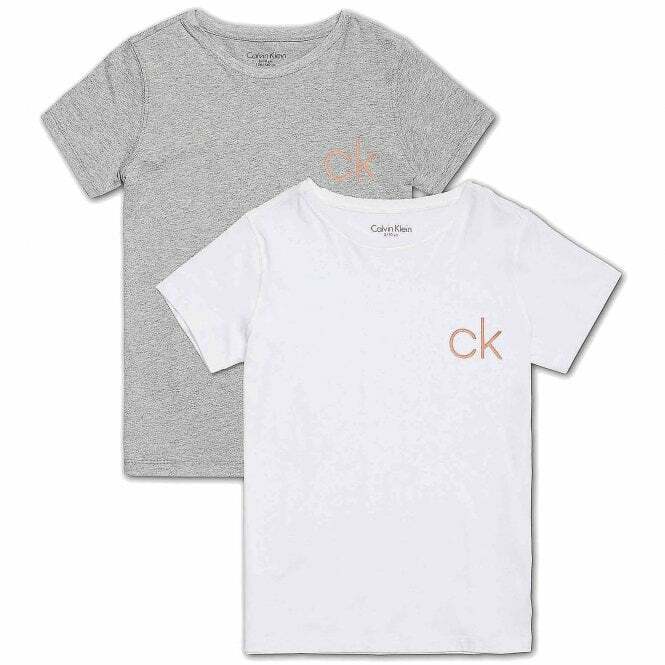 In our CK Girls CK Graphic range we have the White / Heather Grey Calvin Klein Girls 2 Pack CK Graphic Short Sleeved Crew Neck T-Shirt . These are available in size Small, Medium, Large and X-Large (ranging from ages 8 to 16).